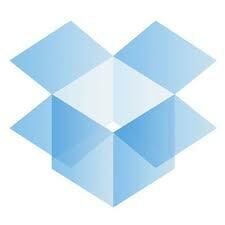 Everyone has probably heard of DropBox, like me, but also haven't tried it. Tekzilla suggested DropBox as very effective way to syncronise files (like "My Document") between Windows, Mac and Linux as answer to a viewer question. This prompted me to have a quick look, and it is amazing. Yes, synchronise files between Windows, Mac and Linux effortly and simple, but also much more! I have a Windows 7 Desktop, Windows 7 Notebook and Windows 7 Netbook. For the first time ever, "Documents" are synchonised and up to date between all three the machines. Add access to these files using any web browser on any machine AND DropBox on Android, and you have the best of all. Also IT support nightmare: 1x Mac on Network A with 1x W7 on same network. Now ad 1x XP on network B and have people try and share files between each other. I did say users? Now all of them have a shared folder in DropBox which shows as a folder on there machines. Drop file you want in, and everybody has it. It is free and they give you 2Gb for free. But that is not all - now add 1Password. This little application (which is now available for Windows) adds password, software licenses and wallet management with DropBox. Stop using the same password on more than one website. Delete that Word document that has all your passwords and start doing this right. And again, 1Password syncs to my Android, so I always have the passwords I need.